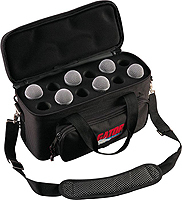 Get Amazing Hands-free Vocal Performance, at a Great Price! 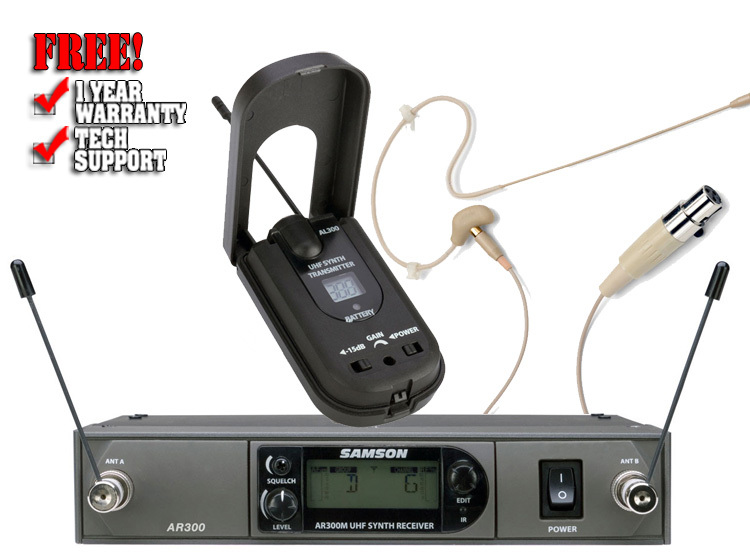 Samson's AirLine Synth Earset Microphone System has everything you need for a great wireless system, in one amazingly affordable package! If you need hands-free performance plus freedom to roam the stage, worship platform, or conference room, then The AirLine Synth Earset Microphone System is the setup for you. You get the amazingly small yet ultra-reliable AL300 beltpack transmitter, a dependable true diversity AR300 receiver, and Samson's comfortable, great-sounding. and visually unobtrusive earset microphone. The result? A lightweight system that gives you heavyweight performance! Make yourself heard — use the AirLine Synth Earset Microphone System! Samson's amazing AL300 bodypack transmitter packs over 300 channels and a very handy LCD display into an ultra-small unit that you'll forget you even have on! It has all the features you need for dependable performance, including a mute switch, a gain control, a low battery indicator, and even a switchable attenuator pad to accommodate louder voices. The included earset mic is visually unobtrusive and lightweight, yet it gives you amazingly full, clear vocal reproduction. You'd expect to pay quite a bit more for the kind of quality you get in the AirLine Synth Headset Microphone System. But this setup is priced right, and it's packed with value! You get Samson's AR300 receiver, which includes great features such as Automatic Channel Scan, over 300 channels, an infrared transmitter channel set, a mic/line level switch, a large backlit display, and more. You even get a rackmount kit for the AR300, so you can set it up for easy, portable use.